Traveling and sight-seeing has always been a great way for people to spend their free time! Nowadays, a popular form of travel is RVs. These vehicles are dynamic, powerful, and provide a home away from home. When you aren’t traveling though, you’ll want a safe and secure place to store your home-on-the-road! 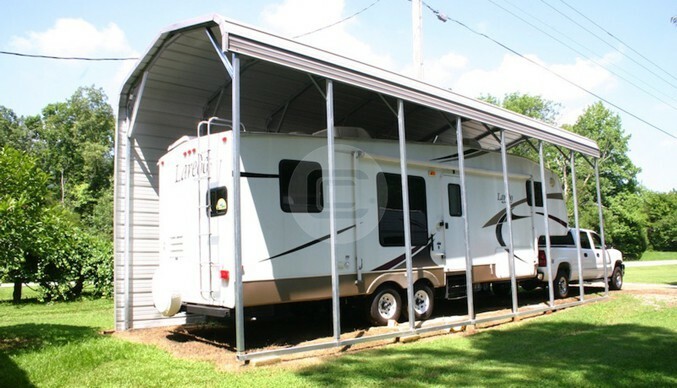 Here at Metal Barn Central, we offer a wide variety of RV carports, customizable to fit your exact needs. 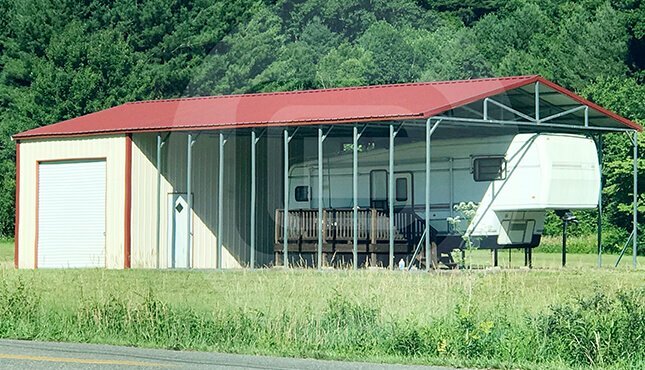 Investments like RVs need to be protected from the weather elements and a steel RV cover from Metal Barn Central can do just that and so much more! Our high-quality products are durable AND affordable. 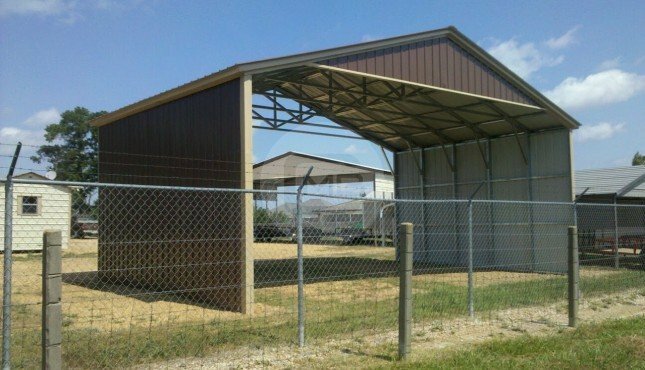 Along with protection, our RV carports and garages provide storage space and a covered area where you can perform any needed maintenance. 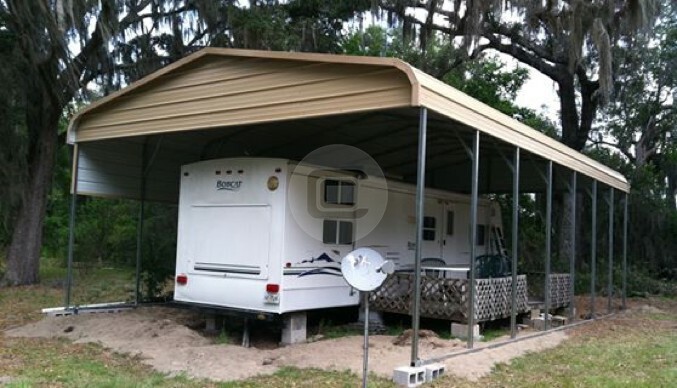 We offer three types of metal RV covers – regular roof (good), A-frame roof (better), and vertical roof (best). 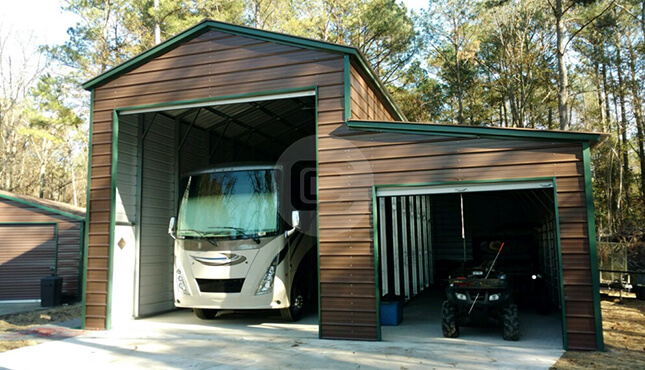 You can opt for a roof-only carport, a metal carport with paneling, or a fully-enclosed metal garage. These are only a few of our customization options given to customers; you can also choose your color, aesthetic features, dimensions, etc. 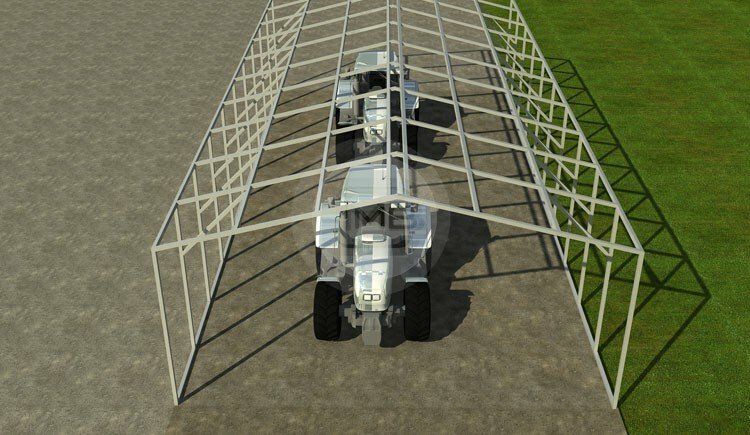 Our RV carports can be built anywhere from 12’ wide to 60’ wide; however, remember your cover cannot be built taller than its width. 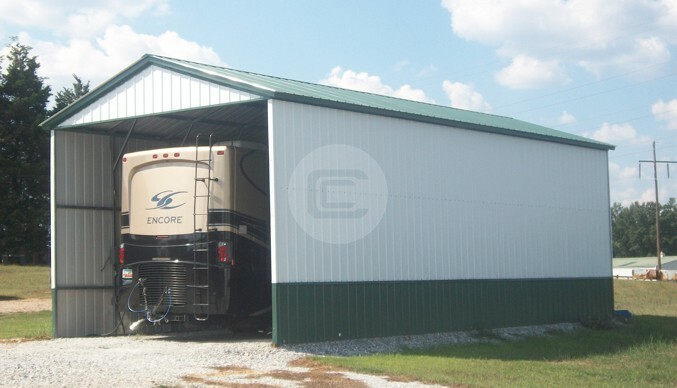 At Metal Barn Central, we understand a lot of your hard-earned money is going into your new RV. 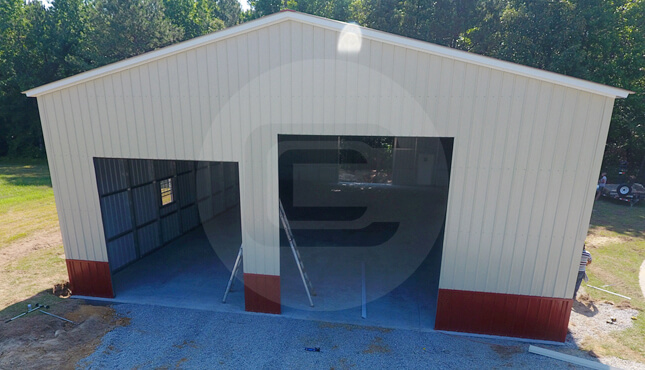 Therefore, we make sure all our customers will receive a high-quality carport from one of our partnering manufacturers. 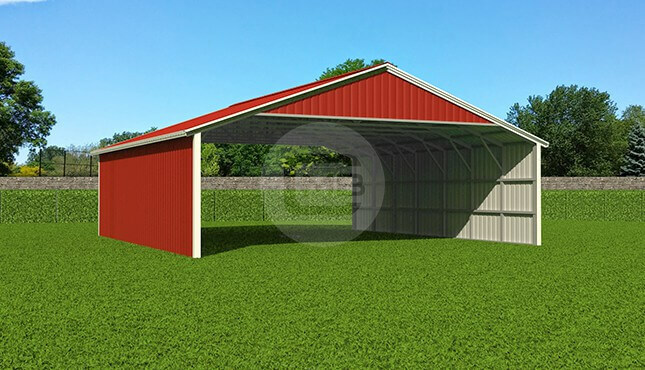 Prices will vary based on the structure’s size, style, and location. 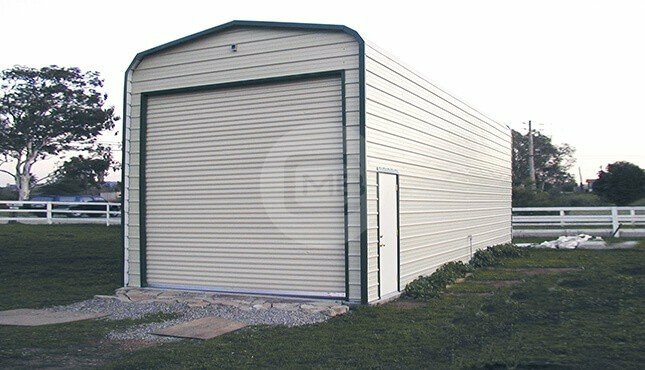 If you live in a region that experiences high winds and heavy snow falls, the stronger gauge and certified cover will add to the cost of your steel RV cover. However, for those who cannot pay the full cost up front, we offer Rent-to-Own and Financing programs. 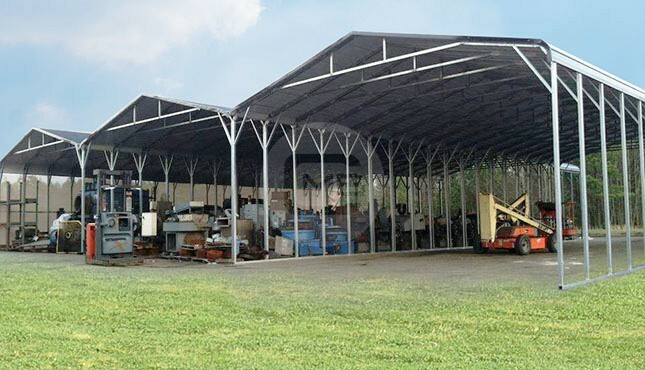 Here at Metal Barn Central, we take all your needs and requirements into consideration during the process of finding the perfect steel RV cover. 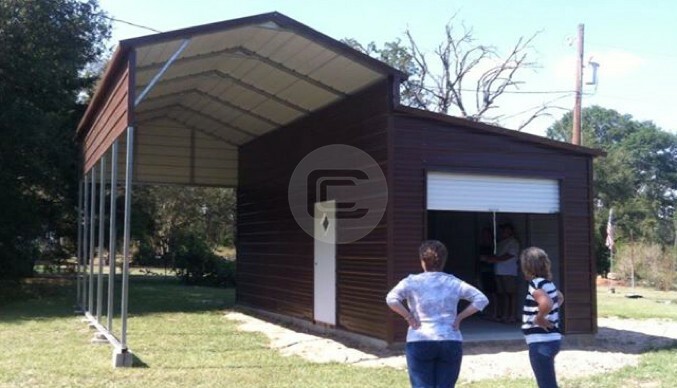 You can give one of our friendly building specialists a call at (980) 321-9898 today for a quick quote! When you work with us, you aren’t just a customer, you are family. We can’t wait to get started on this journey with you!